Business offerings can be oversimplified as Services, Products (Digital or otherwise), or the Brick and Mortar model. Whatsoever is being offered, establishing an online presence, and building your brand is no longer optional, in other words, this should be your primary strategy. The first step being, to have a website that is exclusive to your business. This website becomes your official storefront, a virtual presence for your business. There comes a time when the conversion rate might have reached a plateau, or a new campaign has failed to result in desired conversion rate? Basic reports may not provide the much needed insights. Enter Google Analytics- Event Tracking. The tracking data would provide valuable insights into your visitor behaviour, and possibly with a slight change in position of the element, change in action flow, could cut down bounce rates, and influence the conversion rates for better. 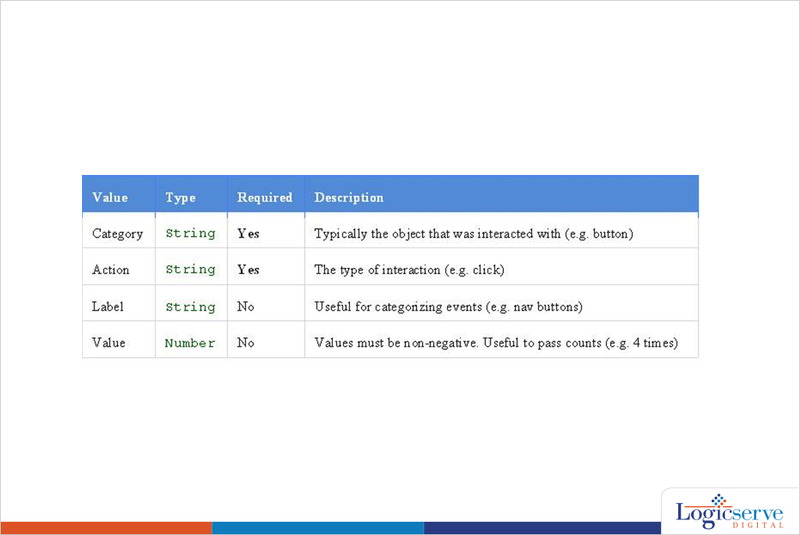 Understand the different parameters used in Event tracking, before deciding to code. Ga (send: This is the Google Analytics Command. Do not mess with this. Let it be. 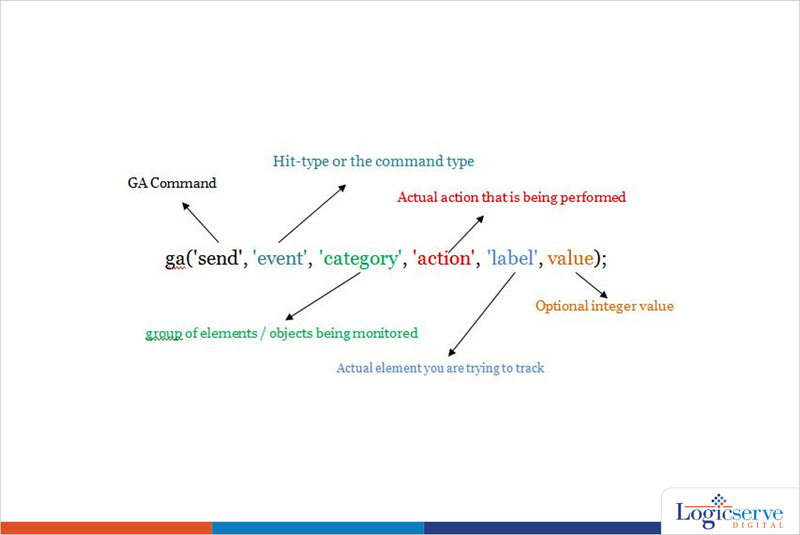 Event: This is the hit-type, or the command-type. Do not mess with this either, let it be. Action:This represents the actual action that is being performed, Could be a Click / Play/ Pause/Stop/View /download ..whatever that makes sense in your report. Label [optional]:You might want to pay special attention to this parameter. This represents the actual element you are trying to track.A good example would be EbookTitle / Blogpost-title / Page-title/ Videoname/Audio name This way, when you look at the report, you know which elements are being productive, and the ones which are being counter-productive to your efforts. Value [optional]:If you are tracking affiliate links, then, this is an extremely important parameter. Because, this associates a number with the event.Most Affiliate links are measured for the no. of clicks, and the affiliate paid accordingly. In other words, each click at an affiliate link carries a certain currency. By specifying a value to the event, you get to associate the tracking with potential earnings. Setting up an EVENT TRACKING code is easy, and a DIY job for enthusiasts. However, should you feel intimidated to implement this yourself, email your developer or hire a competent agency that specialises in GA with your list of events that need to be tracked and analysed. You should be set up in a week, and will have a possible strategy to implement in 15 days time. Quantifying user engagement is vital to measure the direct influence of your marketing efforts, and Google Analytic’s event tracking allows you to do just that with your website.